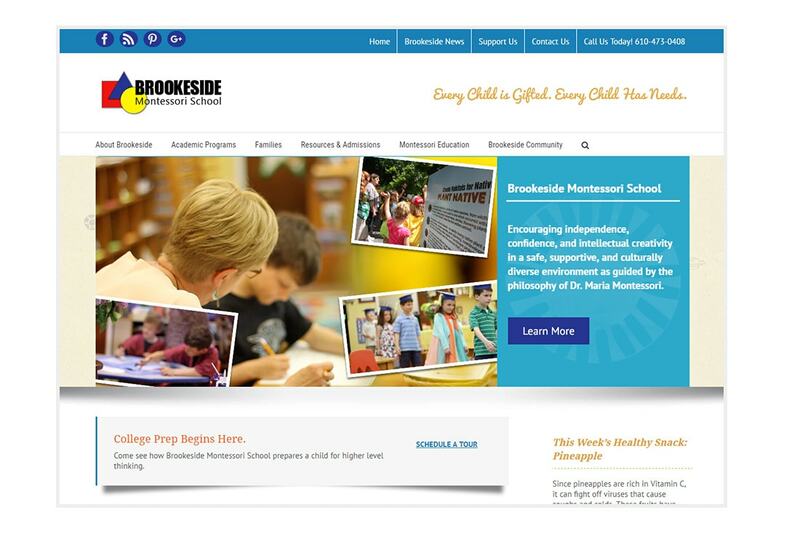 Brookeside is a private primary education Montessori school. Their educational philosophy is guided by the teachings of Dr. Maria Montessori. 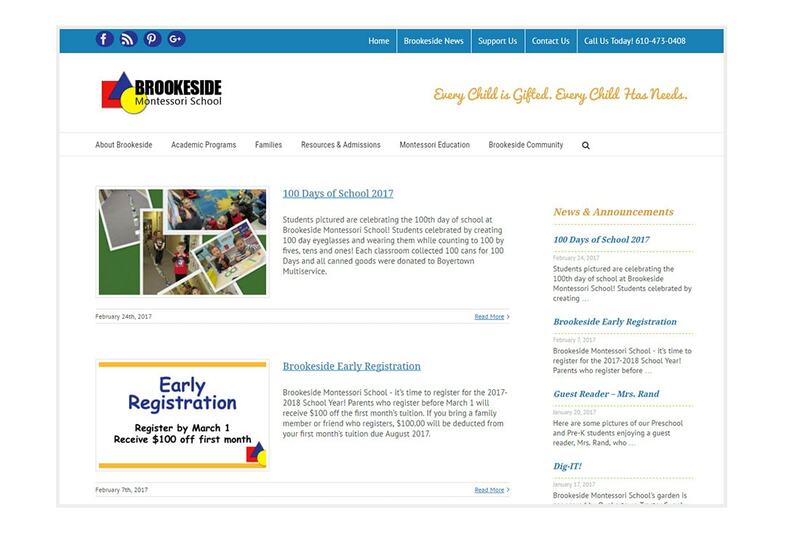 The teachers at Brookeside strive to inspire the development of each child in a safe, supportive, culturally diverse environment, which gives students freedom to explore, cooperate, and be creative. 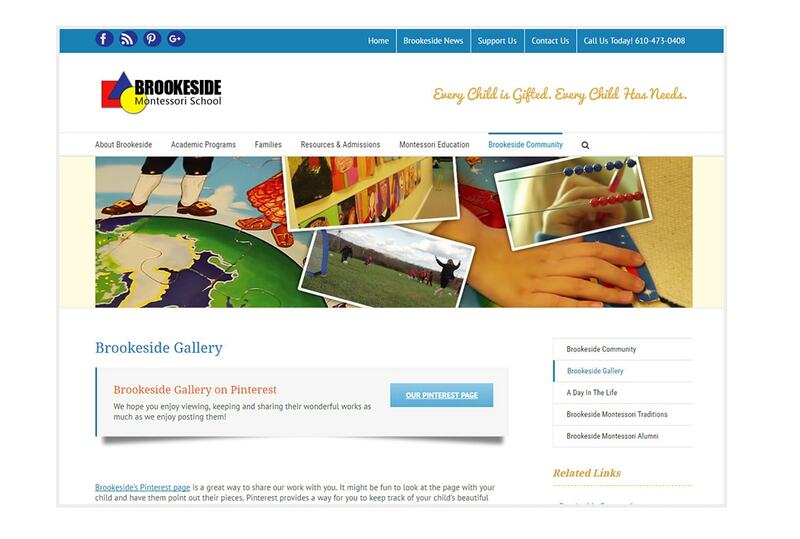 Brookeside is a small school with a big sense of community! 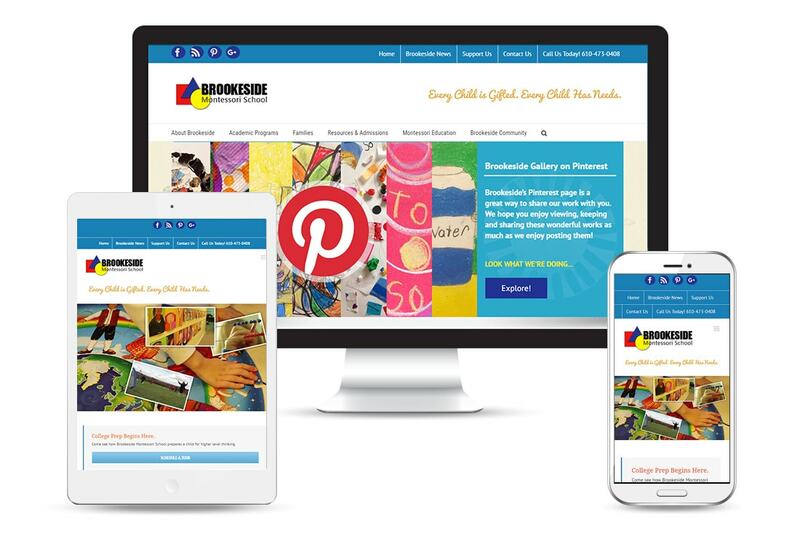 The website needed to reflect this sense of community and be warm and welcoming. It also had to be designed so that the teachers and staff could easily maintain the site themselves.